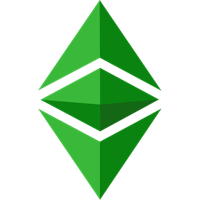 Ethereum Classic (ETC) is an open source platform that runs on the blockchain, a shared public ledger. Ethereum Classic was created after the Ethereum platform was forked into two platforms; a new Ethereum and the original, rebranded as Ethereum Classic. This fork came after a DAO (decentralized autonomous organization) attack, where 14% of the total ether was stolen. Ethereum backtracked on its promise of immutability and the fork was created. Ethereum Classic is a version of Ethereum that preserves its history, with no external interference or subjective transaction tampering. Visit our full ethereum classic mining calculator.